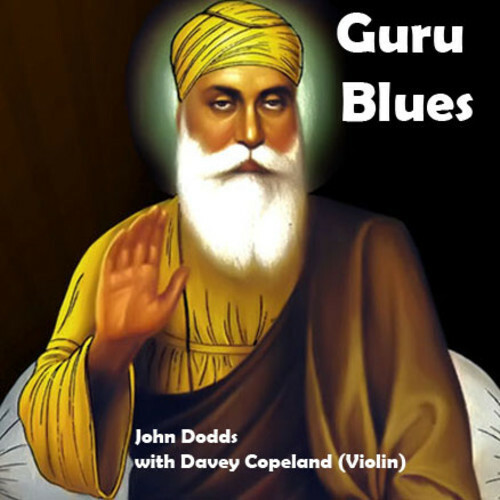 I’ve tinkered with songwriting now and again, but Guru Blues is the first I’ve committed to the internet. I am accompanied by an amazing violin player from Canada, Davey Copeland. Hope you will check it out. While there are some staple and general tips that you should always keep in mind when writing, whether you are attempting some poetry, fiction, historic or sci fi, there are a number of things to bear in mind when it comes to getting your work out there and chasing that elsuvie publishing deal. Writing is often only half the battle, as making sure you make some useful connections and contacts can go a long way to helping you relaise the dream of being a pubished writer. This can be a tricky subject, and will vary depending on what you are writing about, what genre you are writing in, and so on. If you are planning an historical thriller for example, you will want to make sure you have some key facts about the time period you plan to set your story in. Remember, you want to make your world as believable as possible, and while you certainly have more leeway when it comes to fiction writing, especially science fiction or fantasy, it can be very helpful for you and the reader to flesh out your world with some research. You may well find that obstacles dissolve once you have done some digging, or characters and ideas come thick and fast that help you develop the intricacies of your setting in ways you may not have initially approached. That is perhaps the key: UUse your research as inspiration, especially if you are felling stuck. Conversly, you don’t want to let research take over or stifle your writing. Again, this is very dependent on what you are writing, as of course any factual work will be heavily dependent on factual research, but for fiction, it can be helpful to simply get your idea down first, and add research as needed to flesh things out during a read through or editing. As writers, we may not particularly like the idea of networking, often preferring our own solitude in which to explore the written word and ideas, but it can be a very valuable investment of time, not to mention inspiration. There are a number of groups that run writing events and workshops through out the UK which can be great for picking up advice, tips and feedback on your writing, as well as making connections with people that could help you out in the future. Often, these events are not particularly glamorous, but you never know who you will meet, and sometimes bouncing your ideas around a number of other people can help give you a better focus and insight into your own work. These things can often be very valuable, and if it can also be worthwhile investing in business cards or other tailored and personalised items that you can use as promotional and networking tools to help get your name out there and spark interest in your work. In the online age, getting yourself out there has never been easier, and it’s a good idea to set yourself up with a website, blog, and on as many other forms of social media as you can manage. This has a number of advantages. First of all, you can start showcasing some of your work and keep people updated on what you’re doing. The internet is an unpredictable thing, so you never know if or when that short story snippet or poem could go viral. It also helps to have all your work collected in one pace online, as many publishers or editors like to be able to get a sense of what you’re about quickly and easily, and online content is becoming the modus operandi these days. Additionally, starting to build up readers early can be beneficial in the long run, as many publishers will want evidence that you can market your writing to an audience, and that you can prove to some extent that there is a market for your writing. When it comes to approaching publishers, it is often worth taking the time out to learn about the genre you are writing in. The more information you have that supports your manuscript financially, the better, so while it may not have been the first thing you thought you might be doing as a writer, is can certainly help you stand out when you make a pitch. For some useful advice and further tips, this site has some useful information too. Exploring the darker side of human nature has been a popular theme in the novel since writing began, and as we move into the 21st century this hasn’t changed. Nor has the platform of writing shied away from exploring and exposing some grim realities of life for those less fortunate than many of us. This has taken the form of political themes, social issues, and others, but one issue that is never far from our minds is that of drugs and drug addiction. This issue and the associated problems it brings to society and people through addiction and crime have been tackled both seriously, with humor, and more recently with a sprinkling of both in the excellent ‘Breaking Bad’. However, recently there has been an interest in how writing and reading can be a part of the healing and recovery process for those suffering from addiction (and other behavioral or mental problems), and the progress is interesting, whether reading or writing is presented as catharsis or a form of educational foresight. The field of art therapy has grown exponentially in recent years, and has been found to be particularly successful at aiding treatment in a number of brain related disorders and diseases, from Parkinson’s to depression. As underlying behavioral or mental problems can often underlie addiction, it is no surprise that art therapy is increasingly being considered along side more standard forms of treatment. One study, for example, explores the relationship between art therapy and addiction, and how such therapy can work in conjunction with existing treatments to aid the spiritual and mental recovery from physical drug addictions. While the success rate of accepted and standard forms of drug rehabilitation and treatment is certainly good, with facilities operated by recovery.org for example, providing a wide selection of clinics and treatment in most states of the US, often the hardest time for addicts is after treatment. This is where art therapy and writing, in particular, can come into it’s own as both an outlet for difficult experiences and a personal support structure. Many great works have been written by authors who have suffered very real experiences at the hands of addiction, and while these certainly helped to not only get them through these difficulties, they serve as an important window into the experiences of someone suffering from an addiction. Of course, writing a novel may not be the correct approach for some, but there are many other ways that writing can be used to help recovery. One such form of therapy, termed therap-e-mail, involves contact with counselors via email, and the simple practice of putting ones feelings and problems into words alone can have a very positive effect. Similarly, some recovery centers are now incorporating the practice of writing or drawing into their treatment programs, both as inspiration for others on the same path and as a form of self expression. This form of therapy is generally well received by addicts, with most stating that there are real benefits to performing writing workshops and group activities. It is easy to forget for those of us that might be used to writing as a past time or profession, the sense of achievement and discovery that can be found by those that are not used to writing in their everyday lives. This only goes on to enhance the beneficial effects that therapeutic writing can have, as well as perhaps inspire someone to turn their life around with a new found activity. As it stands, we are still in the formative stages of writing as therapy, but as art therapy in general begins to gain more and more credible evidence in its favor, in the years to come we may well see this practice being adopted as standard for treatment and rehabilitation centers around teh world for substance abuse and addiction. The National health Service in the UK for example, now offers a number of forms of art therapy, from music to writing, which are used in conjunction with a number of more traditional and modern medicine techniques. As other treatments continue to advance, the future certainly looks to hold an ever increasing number of techniques to help recovering addicts, and creative writing looks set to take its place among them.